A very emotional and heartbreaking book, written from the heart of a mother to give an account of the truth. and the fact that there are serious shortcomings in how police forces address the problem. After almost 10 years, Madeleine is still missing. 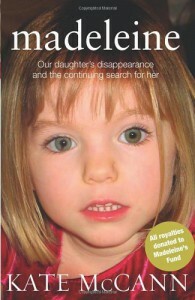 I hope Madeleine can be found or find her way back home.